Magazines not only for Kitty Litter …earn a dime too. I love magazines for many reasons, I love the way they smell, I am mesmerized by high glossy photos, love the recipes, the self help and work out tips and am completely fascinated by the quirky scientific articles that I can rip out and post on the cork board in my office. Unfortunately, it requires tons of paper to create one magazine and let’s not get into the negative emissions in the atmosphere from the production of magazines. According to Magazine Publishers of America only 20% of magazines are recycled at home. However there is a light at the end of the tunnel. 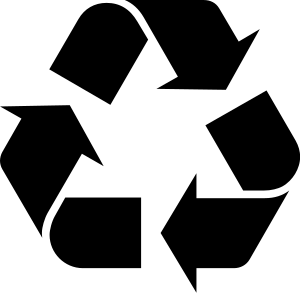 According to Green America, “Even during a down economy, magazines printed on recycled paper have increased their newsstand sales up to 114%, grown their store count, added advertising revenue, and built greater affinity with their readers. How is this possible? For dozens of publishers, going green has proved to be an easy and cost effective method for brand building and attracting new readers.” Read more on this here. It’s good to know that Magazine Publishers are trying to pick up some of the slack of their readers but even with this being said I can’t shake the guilty feeling of magazine waste piling up in a corners of my house and office. So I decided I had to think of some cool ways to recycle all these magazines. Here are 12 fun and creative ways to recycle your magazines. Dump your magazines into a basket or a cloth bag near your door so you can take a stack with you whenever you’re heading out for the day. Live in the city take your magazines to the laundromat or I give them away to friends (my request is that they pass it along). Some really good friends of ours regularly drop off their stack of magazines to our house so that we can also enjoy their subscriptions too. You can also donate your old magazines to the local library, school, senior center or day care near you. Magazines are great material for kid’s art projects, decoupage, paper mache. I have even made great mixed media wall art for the house out of our old magazines. Use your magazines as filler for shipping or use it as packing material. Shred or crumple it up and you are good to go. Use scented magazine inserts (perfume or cologne ads) to line your clothes drawers and non scented to line your kitchen cabinets. Use your magazines as wrapping paper for small gifts like for Valentines Day or other holidays! Don’t let all those beautiful glossy photos go to waste. Use an old magazine as a floor mat cover for your snow boots. Send magazines to the troops, to find out go to anysoldier.com You could go to USO.org but they prefer you donate by sending a care package but if you send a care package include some of your magazines. I’m sure soldiers would love to be able to keep up date on things going on at home. Do you have any antique, vintage, hobby or car enthusiast magazines then sell them online via a classified ads or craigslist. There are all kinds of magazine collectors out there who maybe looking for some your magazines. Use your magazines as kindling for your camp fire or fireplace. If you have a ton of magazines use them like Oktavilla did, recently featured by Style Frizz: build a wall in your house or office. With all these great magazine recycling options you will never want to throw away another magazine again! Have any great suggestions that we didn’t mention? Please share them with us.